If anyone in your household happens to be averse to eating their vegetables, I think this is the way to convince them otherwise! The other way, might I gently suggest, is to make sure your veggies are as organic and farm fresh as is possible for where your circumstances happen to find you right now. Homegrown, or ethically farmed seasonal veggies truly do taste worlds above what you can buy anywhere else. I just use whatever vegetables are in season, so lots of root veggies and the like this time of year: carrots, potatoes, sweet potatoes (hands down my absolute favorite for this dish! ), mushrooms...And sweet peppers, green beans, zucchini...in summer. What is the point of eating perfectly healthy vegetables if you're just going to deep fry them, you might be wondering? 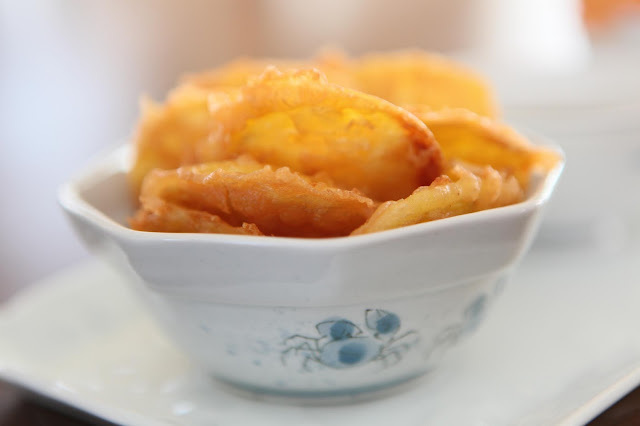 My reasoning (and, alas, I'm not known for my logic, so I admit this could very well be flawed) is that this batter is very light, frying in peanut oil is a relatively healthy option, and since the veggies don't have to be cooked for long, much of their nutritional value is retained. 1. Whisk together dipping sauce ingredients and set aside. 2. Slice or cut into strips your choice of veggies at a medium thickness. Certain ones, such as mushrooms or green beans, can be fried whole. 3. 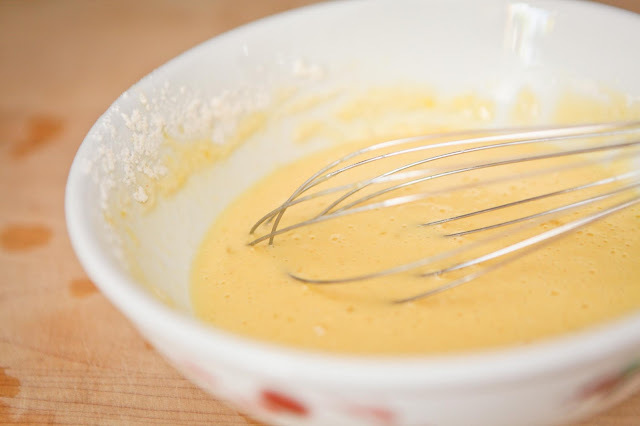 Whisk together all of the batter ingredients. It will be slightly lumpy, and this is fine. ~note: It's very important to use ice cold water, as this is what gives lightness to the batter. 4. Heat enough peanut oil in a wok or deep pan on medium-high heat for a few minutes. You will know the oil is hot enough when the battered vegetable sinks and then immediately rises to the surface of the pan. 5. Dredge the vegetables in the batter and place carefully in the oil. The batter will seem watery and only coat the vegetables thinly. If making a large amount, fry in batches. 6. 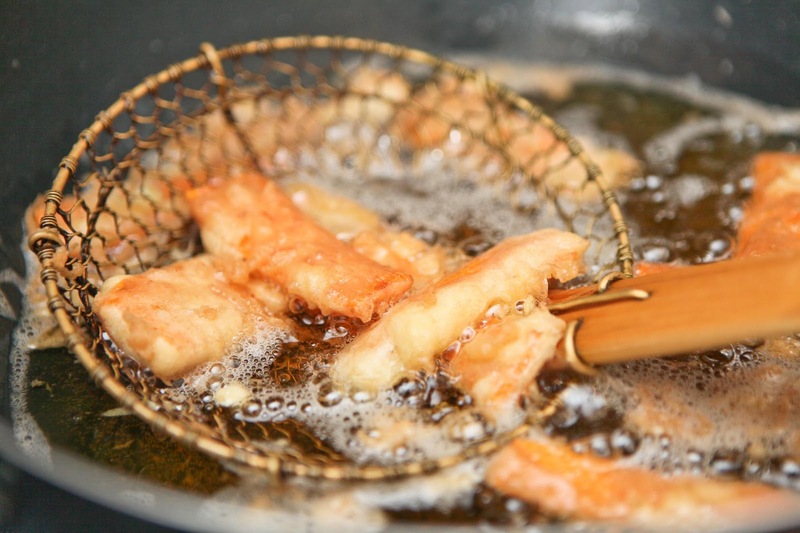 After about 5 minutes of frying, remove the vegetables and place them on a towel to drain. 7. 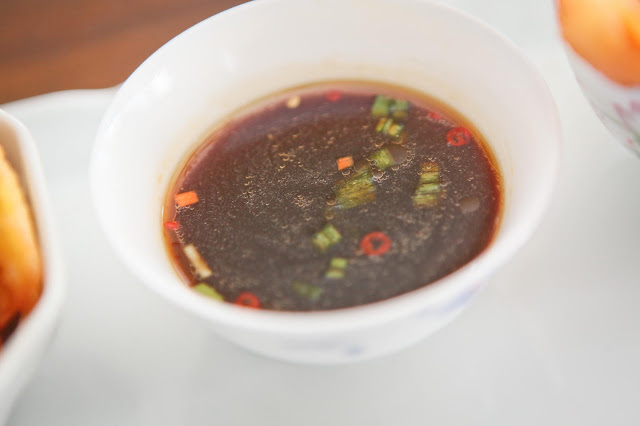 Enjoy right away with the dipping sauce! The vegetables look yummy and the presentation is beautiful! Sounds like good logic to me! And they look scrumptious! I've never made tempura. I just wanted to tell you that we love Oriental food but, other than stir-fry, I never make it at home because it always seemed too hard. Your posts make me realize that it is just as easy as any other type of cooking, maybe even easier! Thanks for your great recipes! Oh, yes, it's completely do-able! Sometimes there are one or two "special" ingredients, like the sesame oil, but I think these kinds of things are becoming more readily available. Thanks for sharing your recipes...never thought of dipping sauce with them. 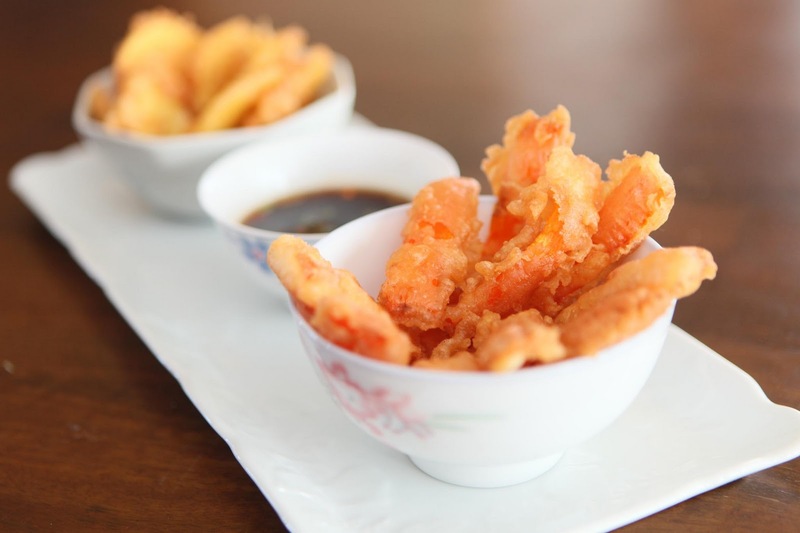 I love tempura! And yours looks absolutely divine. Plus, I have absolutely no problem with fried foods, not since I read Sally Fallon's Nourishing Traditions. Tempura is one of my favorite dishes, and I never ever get to have it since we never ever eat out anymore... Now, I'll just have to make it at home! Thanks so much for telling me how to do it. Looks delicious!! These look so yummy. I love sesame oil, too. 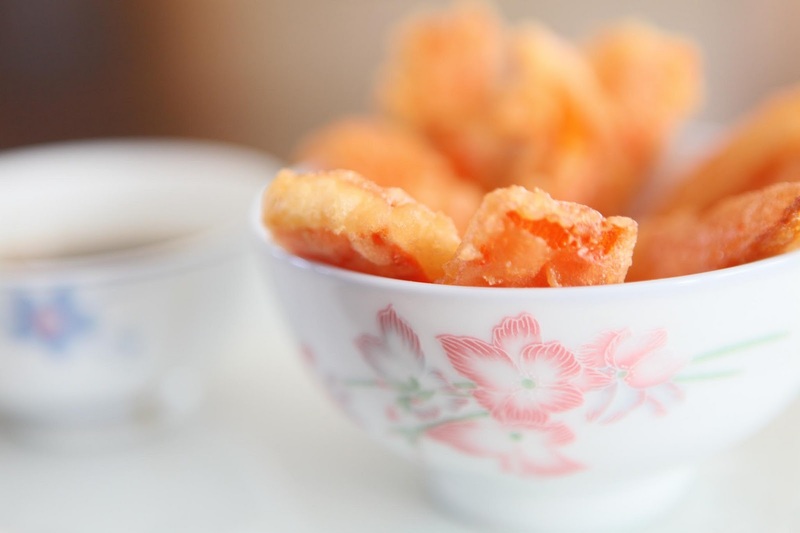 I love tempura veggies and your's look amazing! Thanks for the recipe and tips! Yum, Yum! I cannot wait to try this recipe! 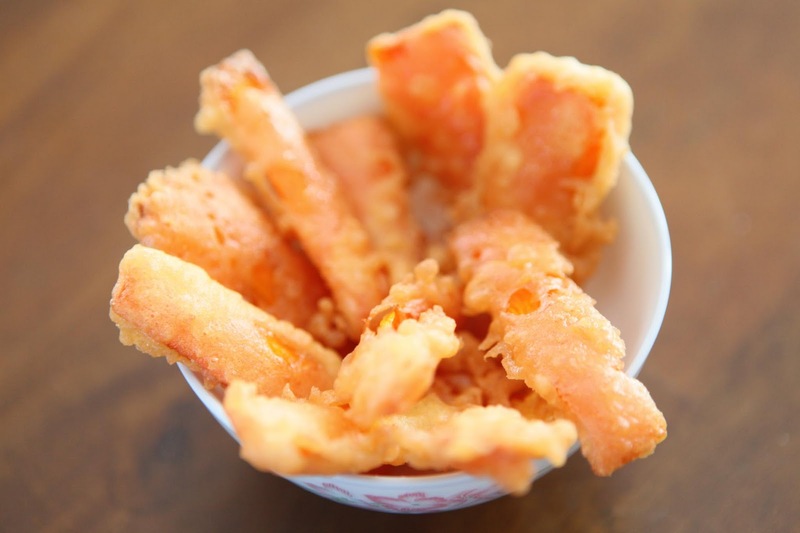 I love tempura!! !